VOLOS TOWN - MAGNISIA The Volos Palace, looks towards the Pagasitic Gulf, with an inspired neoclassic architecture and all the contemporary comforts, thus constituting the ideal choice for every visitor. 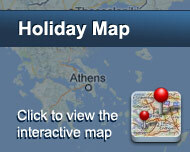 The Volos Palace is specially adapted to the particular needs of all of you that travel for business reasons. Draped in the hues of blue and dominated by wood, the hotel has been eqyipped with all technological support, ensuring an unimpeded business activity within an environment of comfort and luxury. 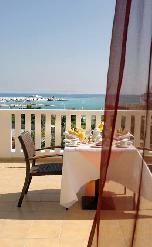 For the ones that desire to combine the daily excursions with an intense night-life of the city of Volos, the Volos Palace has created unique luxurious accommodation areas. 43 of which, with view to the sea. 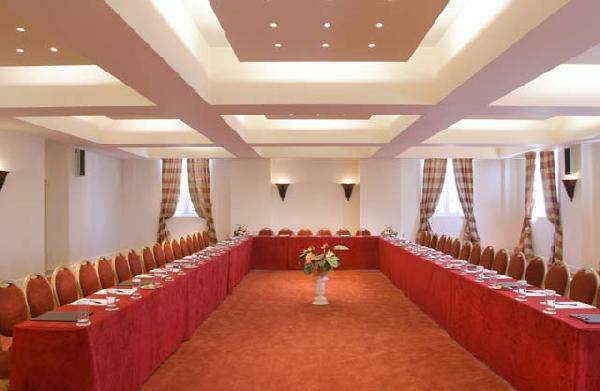 “Thessaly” center with capacity of 120 pax and “Magnesia” center of 320-pax capacity in theatrical plan, possibility of organizing receptions, cocktails and shows (equipped with TV, plasma TV, Video, DVD, CD player, Overhead projector, Laptop, Internet Service, Flipchart, microphonic/secretarial support). Είστε ιδιοκτήτης ή διευθυντής στο VOLOS PALACE; Εγγραφείτε τώρα για δωρεάν εργαλεία, που μπορείτε να χρησιμοποιήσετε για να βελτιώσετε την καταχώρησή σας και να συνδέσετε την ιστοσελίδα σας και το σύστημα κρατήσεών σας.